George Miller pulled out all the stops when it came to Mad Max: Furry Road. In a movie world filled with CGI it is quite hard to believe how much of Mad Max was real and not computer generated. Turns out those amps, guitar and flames are all very real and literally set the tone of the movie. iOTA plays the part of Coma the Doof Warrior, who’s unbelievable guitar skills set the background music for most of the film. Watching a musician bungee strapped to a truck/wall of amplifiers, cranking out tunes on a flaming guitar while driving across the desert is just not something you see every day. I guess it is necessary to bring the entire band when you don’t have a car stereo. If you have seen Furry Road, you know exactly what I’m talking about. This is your cue to leave if you haven’t seen the movie yet and we will wait… Amazing right? Now tell me you don’t want that guitar in your collection. 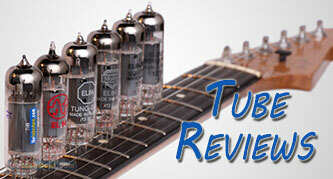 You’re probably wondering how one converts their own system into a flaming wall of tone. Not easily I imagine and there are probably more than a few permits required and zoning bylaws in the way. Colin Furze, garage inventor and general thrill seeker, figured it out though. 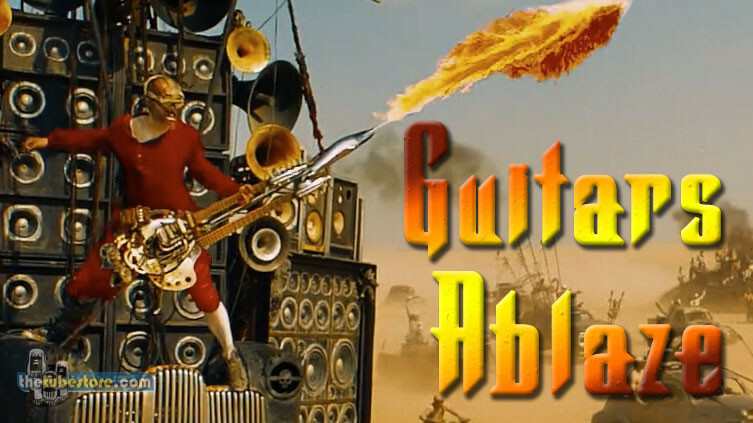 On his YouTube Channel you will find many crazy inventions and modifications from a homemade hoverbike and high voltage ejector bed to a smoking bass and the flamethrower guitar. Check this out but maybe don’t try this at home! For this and many more of our favorite videos check out Our YouTube Channel.